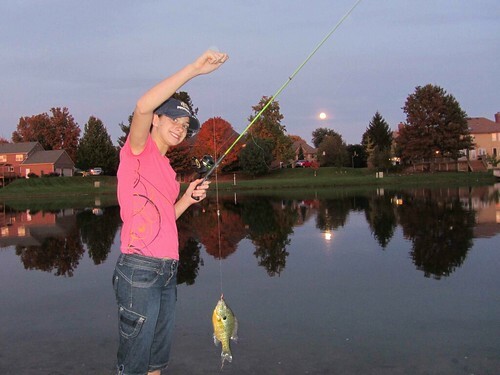 Tonight for the Young Women activity Meg and the others went fishing. It was a request from one of the girls. Mickey called his aunt and set up fishing off their doc. Everyone had a good time and even caught a few fish. One leader freaked out when her fish wiggled itself off the hook. She ended up kicking the poor thing back into the lake. It was a gorgeous autumn night to be out on the lake, well, on the bank.